Thanks to Matthew Carey we have a pictorial record of this event. 09101 hauled the very last train out of Cattedown Wharfs leaving at 0627 with the empty bitumen tanks. 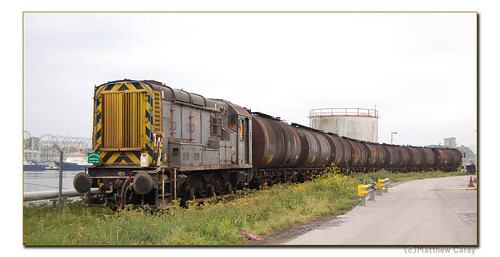 With the Esso plant closing down within the next few months this was the last train to enter and leave the wharf. All pictures on private property were taken with permission. As well as a pictorial record, a short 16mm film was also taken of the last train.